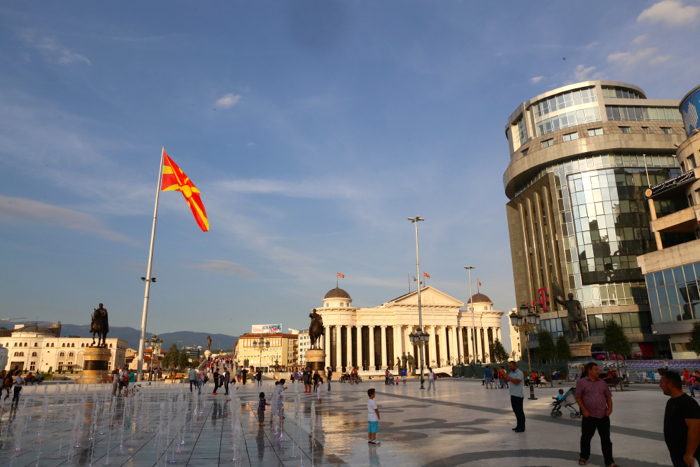 Noored Ühiskonna Heaks (NYH) is promoting a call for volunteer for an European Voluntary Service placement called “Volunteering in Service of Autism” for 9 months, which will take place from 1st May 2018 – 31st January 2019 in Skopje, Macedonia. The main need for this project “Volunteering in service of autism!! !” is the lack of permanent volunteers who will absorb the routine in the work and perform tasks and duties on daily basis with the autistic children for a long term period as well as bringing new experiences and approaches. The association has included local volunteers in the work but they are mostly students who have different obligations or volunteers who are already engaged in private work with children. Although willing to participate they are unable to do it daily. We consider that the foreign volunteers will bring new, fresh and positive energy in our environment, unique approach and methods that will take our efforts and work into new level, bigger success and advancement in the treatment and development of the autistic children. In our modest experience with foreign experts and volunteers we have noticed that the autistic children feel the difference and they are more active, motivated and eager to do exercises, participate and collaborate in the education and the activities. The same conclusion was also given to us by several organizations that we collaborate with and have EVS volunteers in the team. The volunteers will have the direct opportunity to interact with autistic children and learn how to approach and be accepted, learn methods, techniques and therapies used in the treatment of this vulnerable group as well as expressing their creativity by creating workshops, events and activities that will help the wellbeing and advancement of the children. By participating in this project the volunteers will become more aware about the autistic syndrome disorder, the reality of the persons and their families, break stereotypes and prejudice, will become more flexible, patient, open-minded and develop their creativity and ability to help them and be a part of learning process. The accommodation provided by the hosting organization is located 2 minutes by walk from the office place. The volunteer will always live in single bedroom with a fully equipped kitchen, toilet, and laundry machine, shared with other 3 EVS volunteers. If there is a need, the volunteer will share room with another EVS volunteer from the same gender, but no longer than 2 months of the whole EVS stay. Volunteer will receive 160 euros as pocket and food money per month. We will provide full health insurance for the volunteer and language support during the voluntary period. The Erasmus + Programme will reimburse 100% of the travel costs for the participant (up to 360 euros).